Men's Boho Style Summer 2012 Home | About Us | Opportunities | Sponsorships | Contact Us! There’s no better way to get handmade and one-of-a-kind style than with boho! This re-emerging look combines amazing colors, interesting architecture, and a relaxed style to create the perfect unique look for any man. 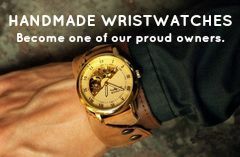 Men’s boho style has quickly become one of the leading styles on Etsy.com and many other handmade sites, and men are stepping up to embrace the free-spirited and playful energy that comes from boho jewelry, clothing, color schemes, and accessories. Many people think that boho style is limited to women. Although they may have started the trend, men quickly got on board! Boho is what happens when the free form style of the 60′s meets the colors, textures, and designs of 2012. Men’s boho style is less concerned with what ‘matches’, and more concerned with what feels good and fits the person’s individuality. The general view of boho style is that it is worn by people who dress for themselves versus dressing for the trends, which is why it’s so popular in handmade and one-of-a-kind communities across the world. The word ‘boho’ is a shortened for of ‘bohemian’. This word is synonymous with the Roma Gypsy people, and indicates travelers and refugees from Central Europe. Think vibrant Gypsy culture – and you have boho! Embracing the men’s boho style is a great way to combine faded and vintage pieces with more modern jewelry and jeans designs. It can be fun to rifle through your closet, see what feels right, and choose your outfit based more on texture and color than on popular combinations. Handmade Men feels that the men’s boho style is only getting bigger – so we’re excited to be bringing you lots of amazing handmade boho artists in the coming months! Keep reading! If you haven’t joined our VIP list, make sure to do it now! Visit the home page and find the email sign-up on the left side. Tagged men's boho, mens boho fashion, mens boho look, mens boho style. Bookmark the permalink.